Often during a home purchase one of the most nerve wracking time periods is waiting for an appraisal. What is an appraisal, and why do we need one? An appraisal provides an unbiased opinion of value for a home as of a specific date. An appraiser looks at the overall marketability of the property for resale under normal market conditions. Your lender will require one on any home you purchase or refinance. Other times an appraisal might be needed are during a divorce, evaluating an estate or during a bankruptcy. Attics- are there floors? are they insulated? is there water leakage from roof? An appraiser will also review the survey and legal description of the home. If there is a well or septic tank they may require a water purity test. 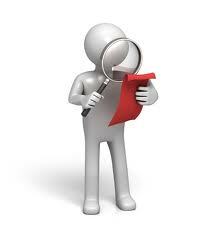 If the appraisal is used for the sale of a home they will request a copy of the sales contract as well. They will use comparable recent sales from the area of similar homes. Depending upon the situation they may search sales records from three to twelve months previously. This list comprises most things an appraiser uses to determine the value of a home, but each case is different so additional criteria may be required.